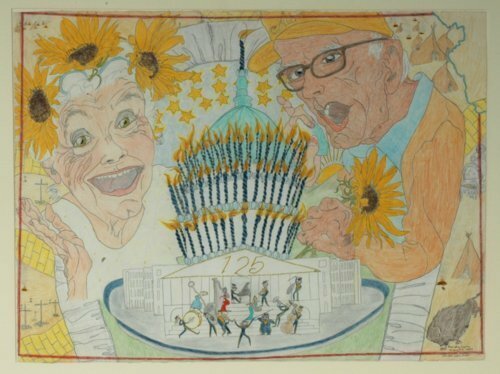 This colored pencil drawing was executed by Elizabeth "Grandma" Layton to commemorate the 125th anniversary of Kansas. Layton, from Wellsville, Kansas, began drawing at age 68 and received national attention for her work. This painting depicts Layton and her husband, Glenn. Don Lambert, an Ottawa journalist who discovered Layton in 1977, donated the drawing.